by bvssvni, Coeuvre, gmorenz, mitchmindtree, leonkunert, Christiandh, Phlosioneer, TyOverby, Jonathan Reem, ccgn, Apointos, eddyb (58 contributors). Co-owned by pistondevelopers. You should know how to build "hello world" with Rust, see http://www.rust-lang.org/. Note; Being under active development, we use Rust nightly. If your compilation fails, try building with Rust nightly. Use cargo run to start the application. It should clear the screen in white color and draw a red rectangle. 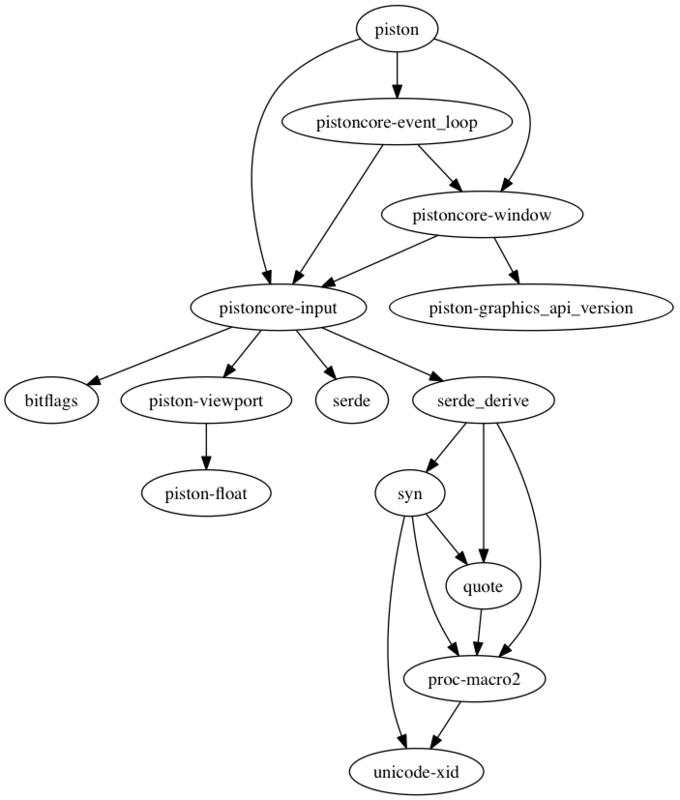 The Piston project is a large collaboration among many developers. There are libraries for 2D, 3D, event programming, AI, image processing etc. By sharing the maintenance, we get more time to build new stuff. 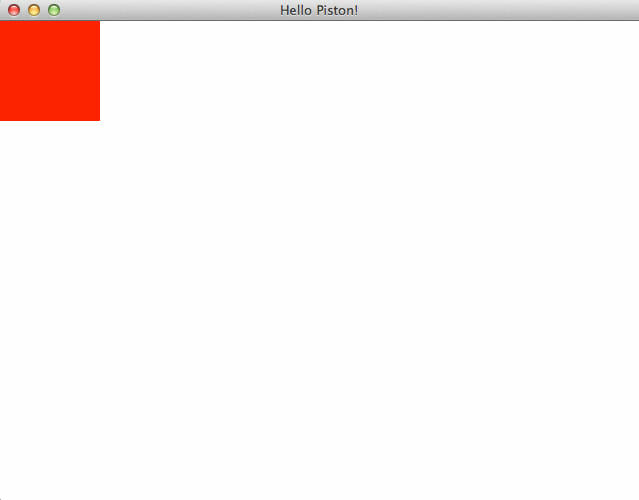 Piston is as much a community project as it is a collection of libraries. Writing and maintaining code is expensive, and by sharing this cost we reach our goals faster. We believe that seeking personal goals and ambitions, while helping each other, results in higher quality.